Jeremy came on staff in March of 2018. He is a husband, a dad, a musician, an aspiring chef, and an avid Cardinals fan. Hailing from the Land of Lincoln and growing up in South Central Illinois, he is a graduate of Southern Illinois University-Carbondale and Lincoln Christian University. 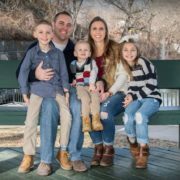 Before joining the Capital West family, Jeremy spent almost 11 years on staff at Central Christian Church, a large and dynamic church in Mt. Vernon, IL. During his time there he served in various roles such as High School Pastor, Connections Pastor, and Teaching Pastor. Prior to entering full time ministry, he taught high school music for 5 years. Jeremy and his wife Lucy have celebrated 11 years of marriage together and have three energetic children: Fender, Journey, and Tele. 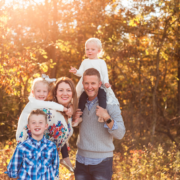 Along with spending time with his rowdy family, Jeremy enjoys exercising, playing music, playing a few holes of golf, and getting to know new friends over coffee. He is passionate about communicating GOD’s Word in creative ways that remains biblically sound, but able to reach all generations and equipping them to apply it to their daily lives. Ken is Administrative Minister here at CWCC. 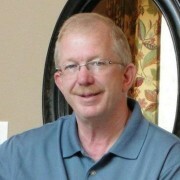 Ken has been with CWCC since 1993. Ken has a heart and a passion for sharing God’s Word with people. Ken is married to Ginger and a grandfather to 7 grandkids. 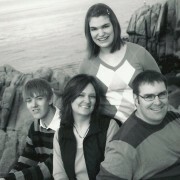 His children are active with oversees missions and local church ministry. Ken has great wisdom and insight into how to live a consistent Christian life in an ever changing world. 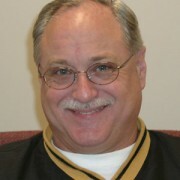 Rick has been on staff with CWCC since 2001. He serves as an associate minister in the areas of evangelism and discipleship. Rick is a grandfather to two grandsons and a granddaughter. Rick enjoys sharing life with people and mentoring them into a solid relationship with Jesus Christ. 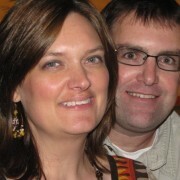 Mark began his ministry at Capital West Christian Church January 2000. Currently serves as our children’s minister. Mark loves reaching out to children and teaching them ways to live our their faith on a daily basis. Mark throughly loves spending time with his wife Leisa and their two kids Justin & Emily. Levi’s has been on staff with CWCC since 2008 as the Student Minister. Levi is married to his beautiful wife Ashley, and has three amazing kids Adaline, Lincoln, and Lyndon. Levi loves to evangelize to Middle School and High School kids and teach them how to live out their faith in everyday life. Leisa has worked as adminstrative assistant at Capital West since 2000. Leisa enjoys assisting the ministerial staff along with church memebers and the community. Leisa is married to Mark and has 2 children.